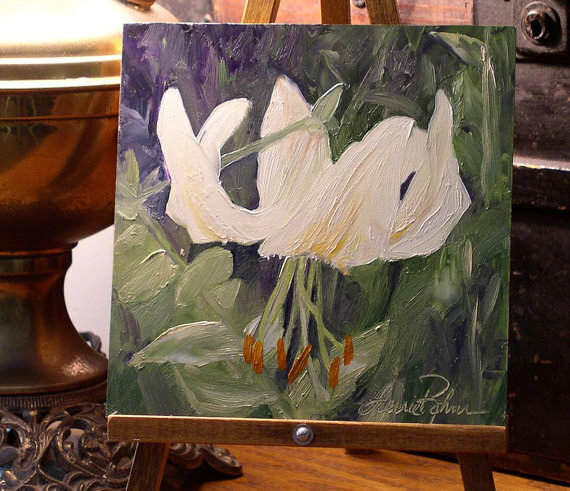 Nature Art White Lily botanical garden flower woodland wildflower original oil paintings by Laurie Rohner. 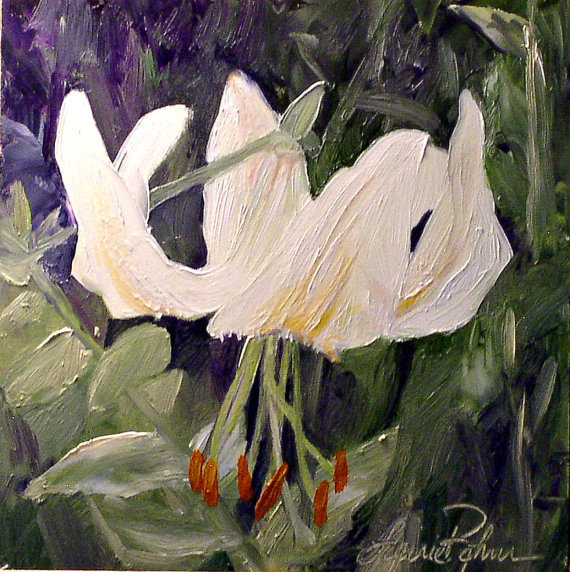 Original botanical garden oil painting of a woodland flower titled Turks Cap is a white tiger lily. 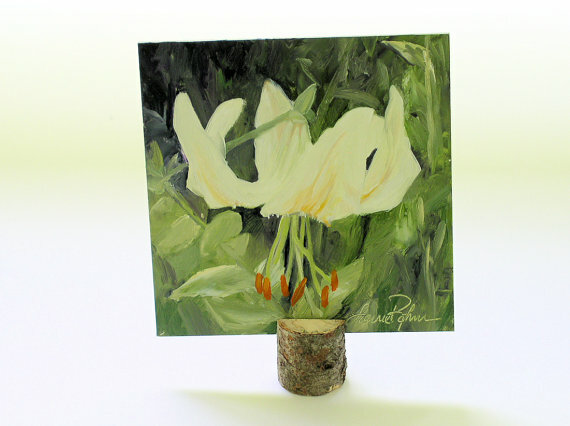 Original nature art hand painted by Laurie Rohner. The flower is a creamy white and glistens against the thick green and purple leaves.